I guess some of my readers and followers already know about my skin breakout. I talked about this few times already, on my blog and on my twitter too. I know many people think my face looks flawless but it just MAKE UP, seriously without all those foundation my skin is just.... (｡º̩̩́⌓º̩̩̀). I've never showed any picture of my bare skin now because it just scary for me, lol. If you read my blog since last year, you might notice I usually posted my face along with the skin care/base make up review. 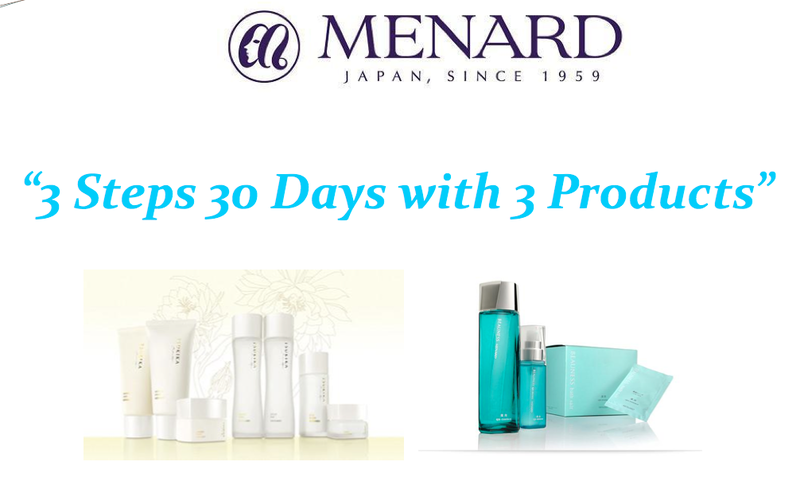 So now I'm joining Menard Tsukika 3 steps 3 days with 3 products. I must use 3 products from Menard, they're Menard Tsukika cleansing series (Cleansing and Washing) and Menard Beauness. I really hope my skin will get better especially my cheek part, because that part is the worst. Let me explain all the steps to you while explaining the product. 1. Menard Tsukika Cleansing Cream, this cleansing cream can cleans make up and moisture our skin at the same time. Keeping skin blooming. TSUKIKA covers skin gently with a fresh, velvet-smooth feel and ensures skin is full of moisture and healthiness. 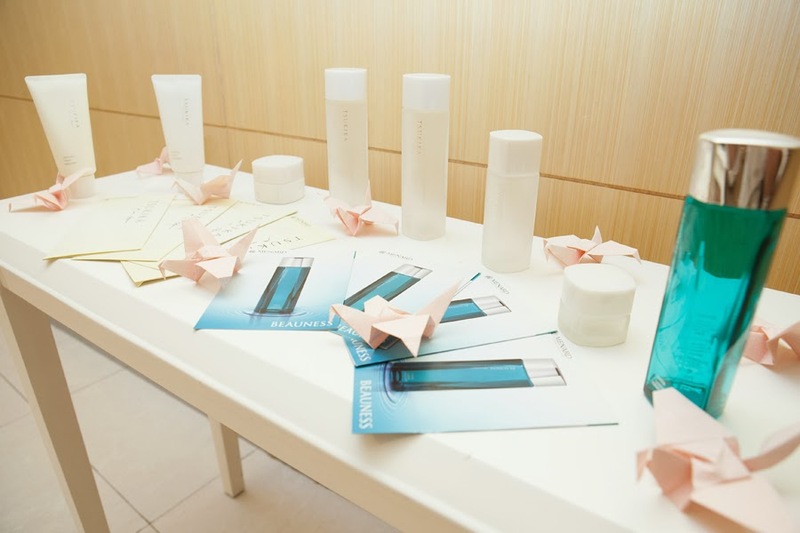 Tsukika series is a range of skin care from Menard for ageless skin and creates fresh, smooth skin. This range contain rare Night Blooming Cereus Flower, it will embrace your skin with a fresh and smooth sensation and helps moisturise it so that your skin can survive daily harsh environments such as dry air and uv rays or the ageing process itself. The scent is so delicate and gentle, I feel so relaxed whenever I use Tsukika series. It is a mild scent of the rare flower of night-blooming cereus! Menard team told me a healthy skin starts from the clean skin. If your skin isn't clean before application, whatever serum/cream you use won't give you the best effect. 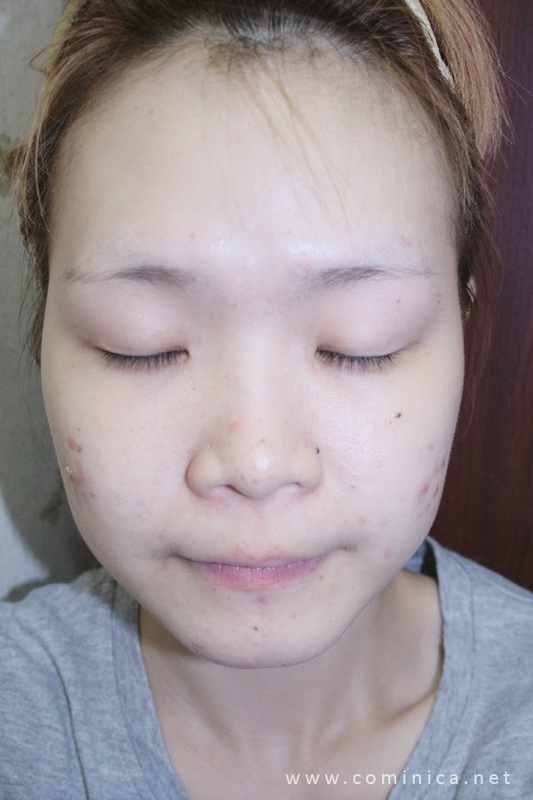 If your skin still dirty, it can become acne and clogged our pores. The texture is thick and creamy. Apply on make up skin, after that slowly rub the cream all over our face until all the cream mix with the make up, it turns transparent and oily. you can see my blemishes now! :< , see how this cleansing cream works? This cleansing cream is so creamy and the texture is thick. Once the cream turns oily it can cleans my skin and pores until very very clean! After use this cleansing cream, my skin feel super moisturised and moist (cos of the oil). My cheek so bouncy and soft. And to make sure my skin is very clean I need to continue to the washing step. 1. This cleansing can't clean waterproof make up, I use separate eye make up remover because it's faster and easier, lol. 2. I only use this cleansing cream in the night before I sleep, I try not to wear make up often now so my skin can heals faster. 2. Menard Tsukika Washing Cream, a facial foam cleanser that can wash our skin, leaves skin feels fresh and clear. Tsukika Washing Cream, is a creamy facial foam that cleans all dirts and gives smoothness on our skin. This foam is works at it best to clean our pores and all impurities. I use a foam maker from Menard, it is like a fish net lol, I use this so I can make creamy foam and apply it on my face. It is very easy, all you need to do is mix the creamy foam with water and rub it with the foam maker instead of your hand. The more water you use the more foam you get! Cover all area with foam and slowly rub the foam with our hand and try to not directly touch the skin but the foam! This is to avoid our skin loose it's elasticity. The foam itself can cleans our skin, no need to massage hardly. After that, I clean my skin with clean water. I prefer cold water, it feels so fresh! Smells really good and super relaxing. I think the way I need to make the foam and apply it on my face is really unique. Although it cleans our skin it doesn't make my skin feel dry and tight. My skin and pores feels so clean after this step! 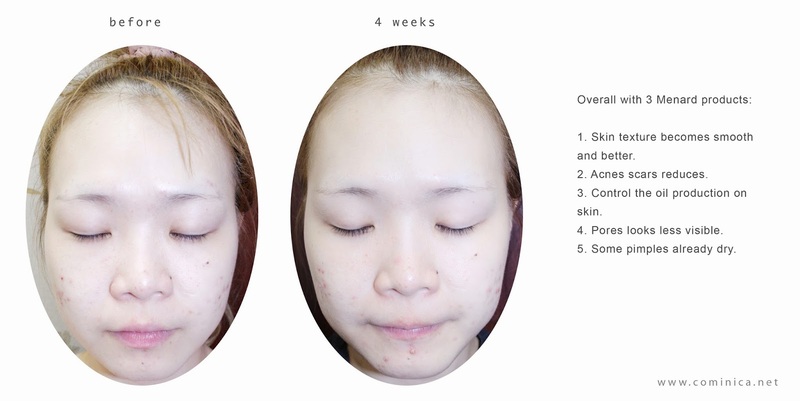 After all the cleansing step, now to tone our skin before all the serum and moisturizer! 3. Menard Beauness, a fresh toner to reduce skin trouble. 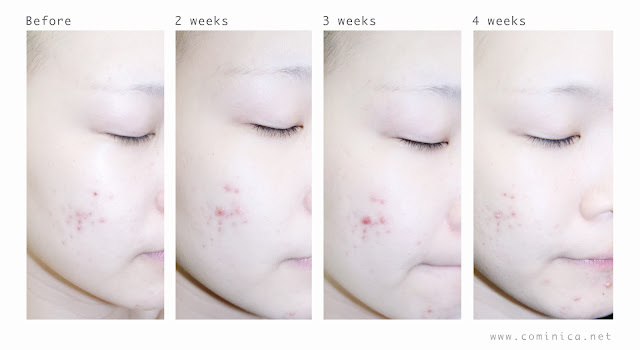 BEAUNESS improves "rough and spot-prone" skin into healthy and smooth skin. BEAUNESS conditions your skin together with 3 nature powers for smooth and beautiful skin that free from roughness and pimples. Contain SPA Essence and MD Essence SP from the sea and plant, can heal our skin texture which is rough, dull and troubled. 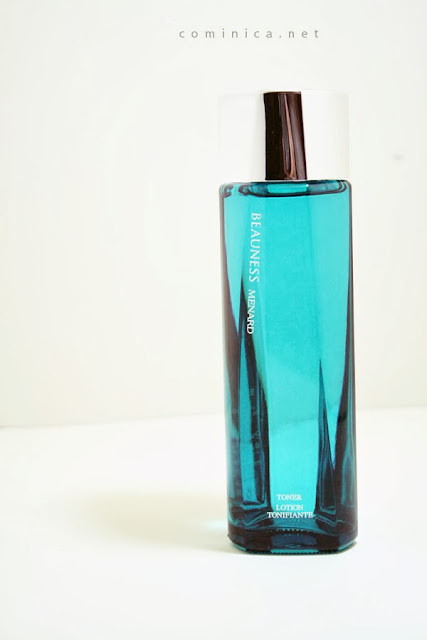 This toner can help soften old skin surface and creates healthy skin. This toner has no scent and colour which I like a lot~! Don't forget to apply toner after cleansing and washing step. Apply it with cotton and dab it slowly with upward direction on clean skin. Why upward? If with downward direction, our skin can become loose faster and look older. lol believe me. After all the three steps my skin feel so clean and I feel my night cream is work much better! My skin is really sensitive now, I'm not sure why but I think one of the reason of my breakout is because I stay up late too much, stress and lack of sleep. And the other reason is because I consumed too much dairy foods everyday and I massage my cheek a lot while cleansing my face, I just found out about that 2 weeks ago. You probably wondering why my blemishes look worse on the 2nd and 3rd? That because I massage my cheek with the cleansing cream too hard. It made my acne worse and multiply around the area. Winny from Menard said I shouldn't touch blemish area too hard/massage them because it can lead to the growth of acne. So I stopped massage my cheek area with the cleansing cream now, as you can see that my cheek area looks better.
. No inflamed acne, some of them already dry and there're only scars! 1. I spent more time to wash my face now, lol and I don't happy about it because it took times. But if that could makes my skin better so why not? 2. The cleansing foam cleans our skin but not makes my skin dry. 3. My rough skin becomes smoother now, texture is better too! 4. My acne scars and complexion becomes brighter. 5. My big pores looks less visible. 6. Beauness reduce some pimples and helps them to dry faster, I just love Beauness! 7. Because my skin texture is better now, my make up result is looks smoother too! 8. This skin care set cannot prevent acne, but it helps improve our skin texture so it looks healthy and brighter. Maintain a good skin is hard, especially if you have sensitive skin. Now you all know my skin condition so don't say I'm flawless again or my skin looks perfect because it's all just make up (✘﹏✘;;), I feel hurt haha! I'm trying to heal my skin now so it can looks better like last year. I want my readers to know that our skin can change and become worse so we need to take care of it. Include the foods we consume and our life style, even though busy we must spare our time for our skin! Now I feel regret that I consumed too much dairy foods and lazy to clean my face sometimes. Menard Indonesia will hold a competition on their page, they'll post my photo and other contestants there. You can join by like my photo on their page to win a package from Menard Indonesia. They'll choose 3 winners, so just by liking my photo there you'll have a chance to win! You'll get Tsukika Travel Kit and Beauness Mask Sheet. 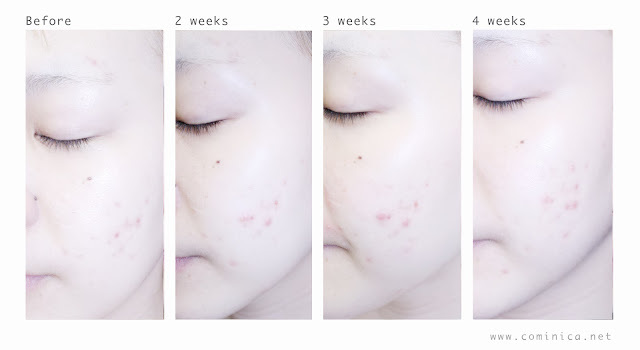 I've tried Beauness Mask sheet few times during week 3 to 4 and it was really good, my blemishes were dry faster Σฅ(ºﾛº ฅ)! ?, I promise will review this mask next time. I strongly recommend Beauness if you have troubled skin. Good luck for everyone and thanks for reading, hope this post helps you~! (๑¯◡¯๑)੭ु⁾⁾ Let's improve our skin together! thanks for sharing this, i get new information from this post, i have oily and acne prone face, hope my skin will get better too! Thanks for the info! I'm really curious about this brand and it's so hard to find their products online u_u Hopefully I can find it soon! This looks like very high-end product--no wonder they're expensive. Sometimes I massaged my face hard too when washing my face, I think it's because we unconsciously try to get rid of them like 'shoo shoo'. So instead of being gentle, we treat our skin harshly and they turn worse. https://www.facebook.com/media/set/?set=a.10151961533727533.1073741830.47800657532&type=3 can't find you here. I'll be rooting for you to win! I need to find something that is this good for my skin DX lol no luck so far! dan br tau jg susu bs bkin jerawat..
Wow, you have such a lovely blog. Anyway, I've been following you. yeah me too D: , I still try to find a good moisturizer for my skin now, hope I'll find one! iya nih :( , makin parah aja untung udah mendingan ini :D , haha thanks yah! I like reading your reviews because they're all detailed! And I like that you always use a product for few weeks before reviewing, that is a must, but not every reviewer do this! This post really gives me courage desu! !